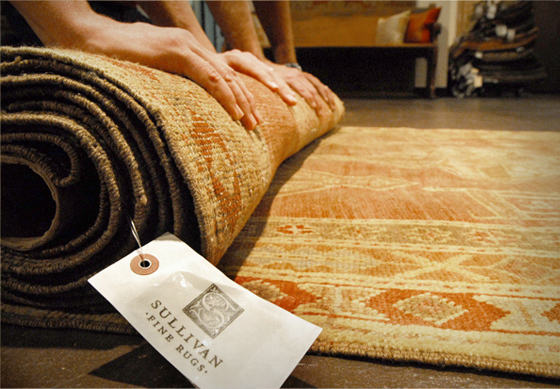 At Sullivan Fine Rugs we take pride in our hands on approach. No skill is more important to Sullivan Fine Rugs than the ability to listen to their clients and to fully understand the scope of their project. Subsequently guiding them through the process of finding the right Oriental rug for their home is where Tim and Bill glean the most job satisfaction. Ideally, we like to visit your home to take measurement and note any existing décor prior to setting out on our search. Sometimes, finding the perfect rug for your project may take us outside of our own inventory. 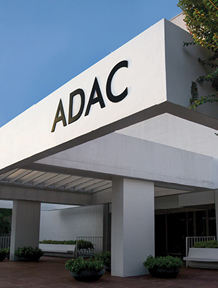 We are happy to assist you with that search and have strong vendor relations around the globe who we can call on. The most important factor in a rug search is knowing where to look. We can save you time and money and assure you find just the right rug. As beautiful Oriental Rugs become more and more rare, many people are looking to rug restoration to preserve their family heirloom. Tim and Bill have many years of experience overseeing Oriental rug cleaning and restoration projects and know that the most important aspect of this service is selecting the right craftsmen for your rug’s specific needs. We work with many different restorers with a wide range of specialties and can assure you your rug will be placed in the very best of hands. Sullivan Fine Rugs works with skilled artisans here in Atlanta, New York City as well as expert weavers in Turkey and Pakistan. We know venturing into a rug restoration project can be daunting and we want to ease your anxiety by guiding you through the process efficiently and effectively. Every fine rug needs a quality pad underneath it. Sullivan Fine Rugs recommends and sells Dura-Hold pad for most of our rug installations. The rubber backing grips the floor while the synthetic jute fibers hold your rug in place. The quarter inch cushion not only feels great underfoot, it protects and preserves the life of your rug. Other non-skid pads are available for applications such as an area rug over carpet or when a flatter pad is needed so doors can open freely. Each rug pad is cut to size, leaving approximately two inches of overlay around the rug and we are happy to install your rug and pad for you.